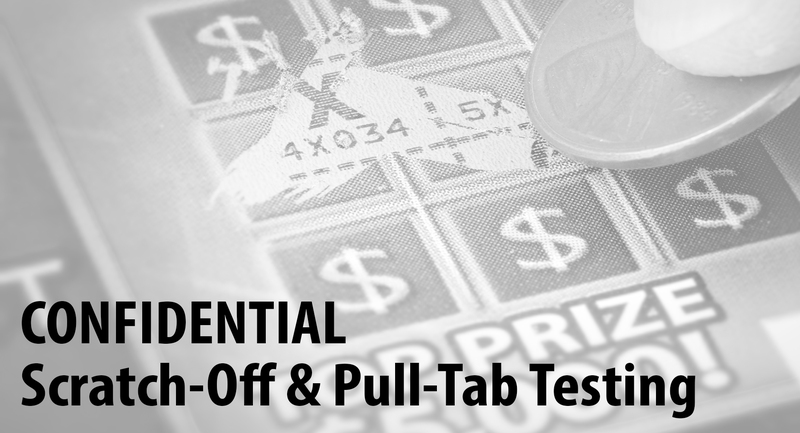 Since 1995, Evaluations, Inc. has been dedicated to providing testing services to lotteries and other end-users of scratch-off and pull-tab products. We are focused on providing timely, unbiased and objective examinations of the security, integrity, durability and quality of scratch-off and pull-tab tickets using commonly available materials and equipment, as well as some advanced technology. We offer confidential comprehensive testing and reporting, assessment of the suitability of the products to release to market, and recommendations for improvements. Customized reports are developed in consultation with each client. EVAL's employees are the owners of the company, and we pride ourselves in our knowledge and personal integrity. We work in partnership, and are fully cross-trained in most areas. We are a 100% women-owned business, but are not yet certified.